If you are looking for adventure on your way back to San Jose, this tour is for you!!! 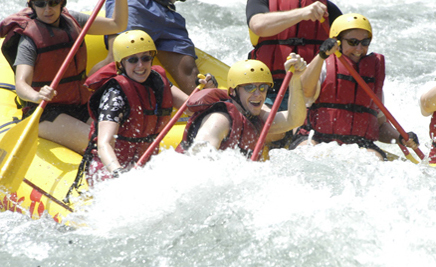 We'll help you make your White Water Rafting Tour reservations. The Pacuare river is world famous for its sheer beauty. Here, you will enjoy the feeling of total isolation from urban life and the realness of being connected with nature. You see waterfalls cascade into the river from both sides, colourful, tropical birds fly right over your head. Amazing views of a virgin tropical rainforest appear before your eyes as you descend this true exploratory land. No other trip in the country offers you a better blend of wilderness exposure and excitement than Pacuare river gives you, both in one day.